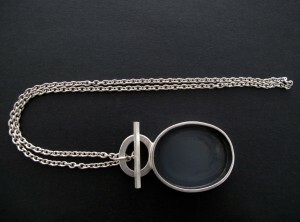 I love the way a Fob functions – the clasp is the star feature. 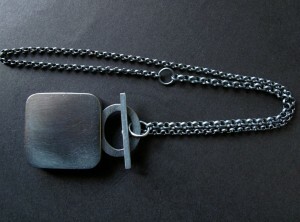 Here I have oversized the fob, used simple shapes and oxidised the silver. Sometimes I like to mix up the chains. I look forward to expanding this idea in 2015.